Exclusive Waterfront click here for additional information and photos HOUSE INFORMATION: Rare find! Transitional waterfront home on 1.3 acres with the option to purchase an additional 1.2 acres for a rare Estate on Lake Norman. 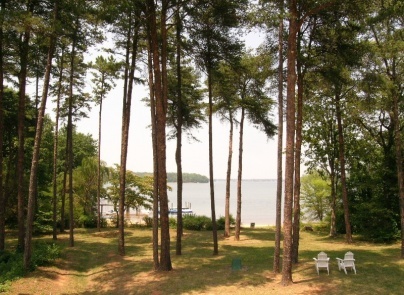 View miles of water views from the sandy beach or from extensive porches & terraces. Tree lined entrance to home for extra privacy. Wonderful home for entertaining inside or out. Home completely redone in 1987 with less than 5% of original home used. Light hardwood floors offset the rest of the warm colors throughout home and the granite countertop in the Kitchen. Spacious Great Room offers sitting area, dining area, Library loft, access to screened porch or terrace and breathtaking views of the lake. The large 8ft circular window is the focal point of the Great Room and is located in the Library loft. The perfect spot to relax and read a book. Secluded main level Owner’s Suite insures a peaceful night’s sleep with its picturesque lake views. Owner’s Suite also features a separate sitting area with fireplace & private access to rear terrace. Lake level offers a second Great Room or Recreation Room, second dining area, Kitchenette (or wet bar), two bedrooms & home office space. If you love to spending time reading or relaxing after a long day of work, then this is the home for you. 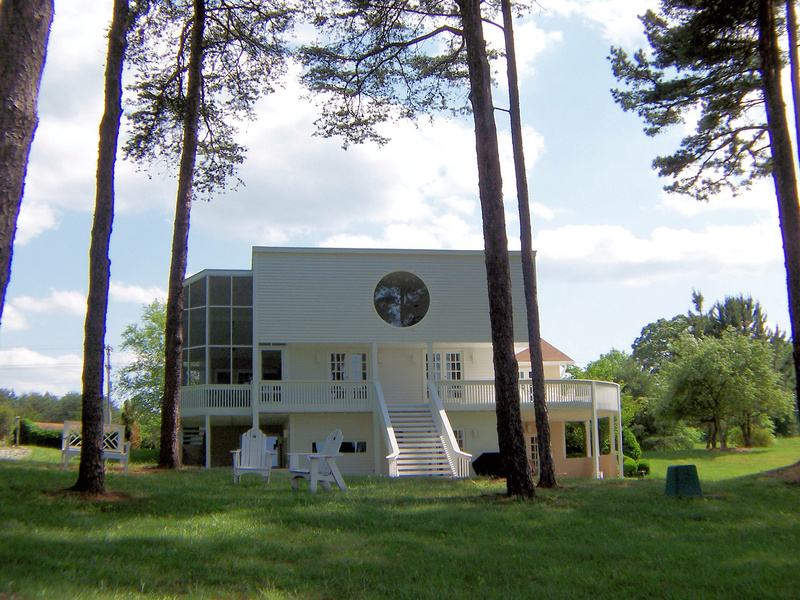 Imagine getting to do both while enjoying the sights and sounds of the Lake Norman from your fabulous screened porch or many terraces & patios. Great location with easy access to Charlotte, Cornelius, Denver, Birkdale, restaurants & more! This entry was posted in Allen Tate Company, Charlotte, Charlotte - NC, Charlotte-Mecklenburg, Cornelius - NC, Denver - NC, Huntersville - NC, Huntersville - Shopping, Lake Living - Lake Norman - NC, Lee Ann Miller Team, Mecklenburg County - NC, North Carolina, Real Estate - Buyers, Real Estate - Sellers, Real Estate Market, Relocation, Water and tagged 3 bedrooms, 3 bedrooms 3 baths, Acreage, Allen Tate Company, Birkdale Village, Charlotte, Charlotte - NC, Charlotte-Mecklenburg, Cornelius - NC, Denver - NC, Denver - West Norman, Homes for sale with acreage, Huntersville, Huntersville - NC, Huntersville - Shopping, Huntersville homes for sale, Lake Living - Lake Norman - NC, Lake Norman, Lake Norman Area, Lake Norman homes for sale, Lee Ann Miller Team, Main level owner's suite, Mecklenburg County - NC, NC waterfront homes for sale, North Carolina, private sandy beach, Real Estate - Buyers, Real Estate - Sellers, Real Estate Market, Relocation, Water, waterfront, Waterfront homes for sale, waterfront homes for sale in Lake Norman area by Lee Ann Miller. Bookmark the permalink.